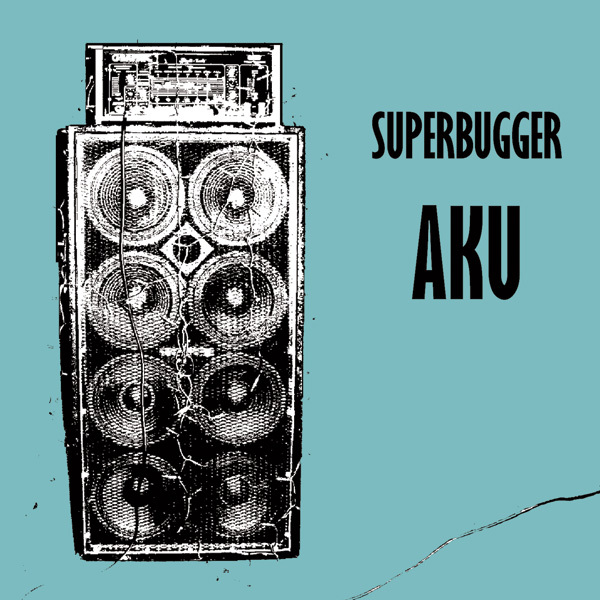 Couple of days ago Antony Milton and James Kirk released the 1st proper album of Superbugger and that's good. Very drilling good. Release notes: "AKU is a sordid and relentless swirl of blunted in-the-red lo-fi noise, subhuman rock 'n roll structured decomposition and marbled psychedelia splendor solipsism, reminiscent of the seminal recordings made by Les Rallizes Denudes, Mainliner and Skullflower blended with the New Zealand natural and almighty trademark of savant-guitar-noise, from The Skeptics to The Dead C to Wolfskull that result in a splendid colossal noise coming down from the sky while shouting at the ground. And it is purely, astonishing." Available directly from label either via H&C site or via Discogs.